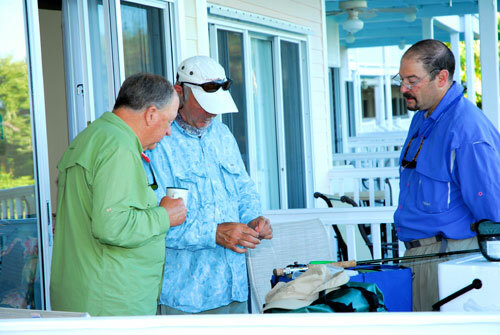 Tarpon Anonymous at Hawks Cay is a full service lodge devoted to the art and science of fly fishing for tarpon in the Florida Keys. 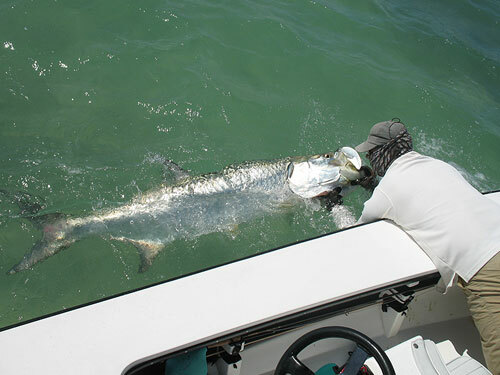 Fly Fishing for tarpon at TA offer cures for those who are addicted to this kind of tarpon fishing. 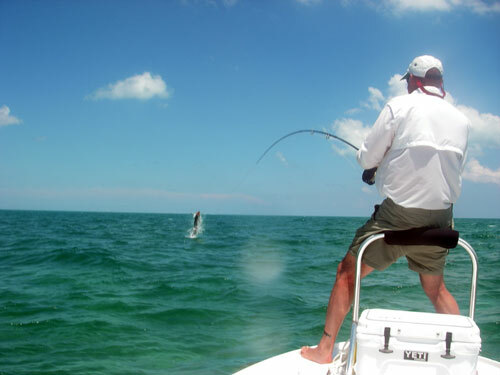 Tarpon Anonymous at Hawk’s Cay only operates from April 15- July 4, the height of the tarpon migration in the Florida Keys. If you need a fix this season Tarpon Anonymous can provide it. 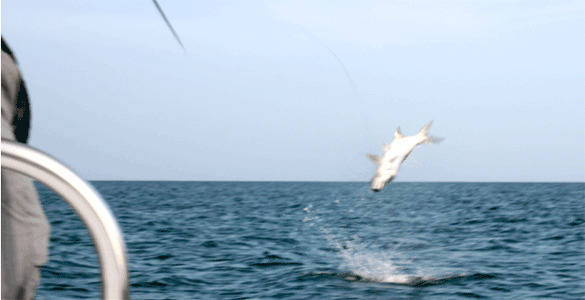 If you need the rush of a 100 pound tarpon rattling its gills 5 feet in the air TA at Hawk’s Cay can provide it. If you want a family vacation that won’t be a tarpon intervention, Tarpon Anonymous at Hawk’s Cay can provide it. 1. 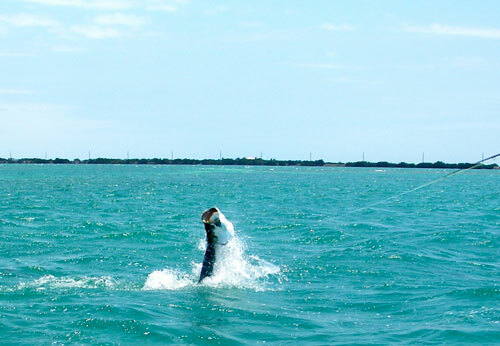 Admit you are a tarpon addict. 2. 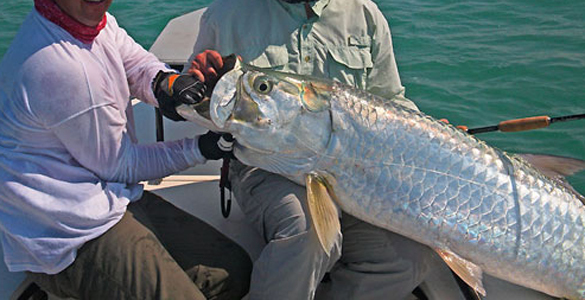 Admit tarpon are more powerful than you. 3. Admit the wrongs done to your family and friends when you have abandoned them looking for tarpon. 4. 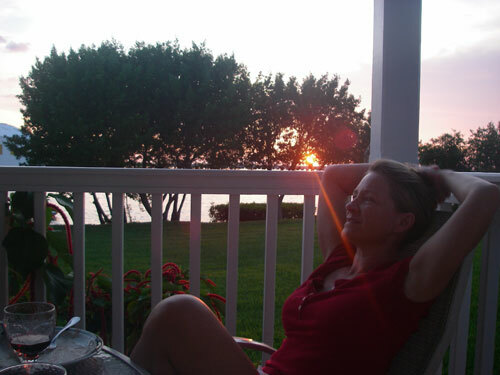 Make amends for those wrongs by booking a retreat to Tarpon Anonymous at Hawk’s Cay for those friends and family. 5. Meet your TA guide who shares the same addiction. 6. Learn to listen to your guide. 7. Learn new knot tying skills. 8. Learn new casting Skills. 9. Learn to tie some special flies. 10. Learn new fish fighting skills. 11. Learn to bow to the Silver King. 12. Touch the fish of your dreams and pass this spiritual awakening on to other addicts. 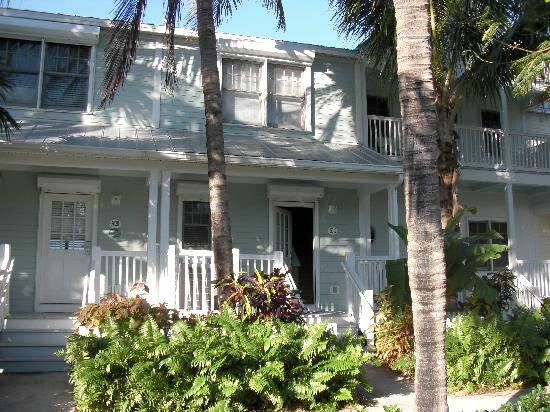 Accommodations and meals are provided at Hawk’s Cay Resort with some of the finest lodging and dining in Florida’s middle keys. 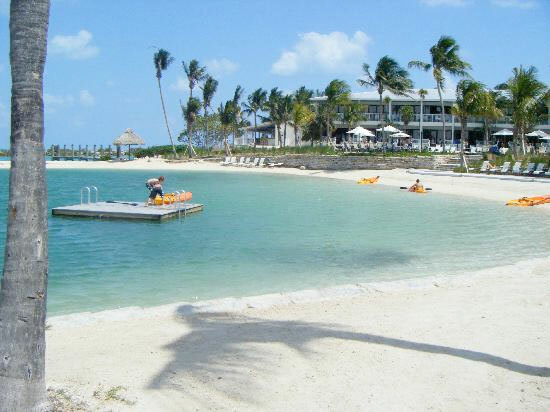 With 4 pools, a saltwater swimming lagoon, a beach, 3 restaurants, 2 bars, a full service marina, a water sports center, dolphin encounters, tennis courts, a fitness facility, a spa and a kid’s club, Hawks Cay Resort is the ideal resort for a family looking for a caribbean style vacation. 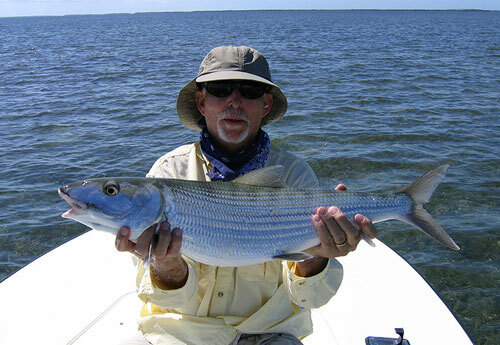 For tarpon anglers it offers an ideal base from which to explore the vast territory of middle keys and Everglades National Park which have the highest concentration of migratory tarpon in the world. 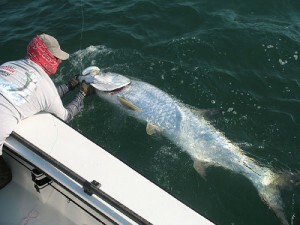 This is the mecaof fLy fishing for tarpon. 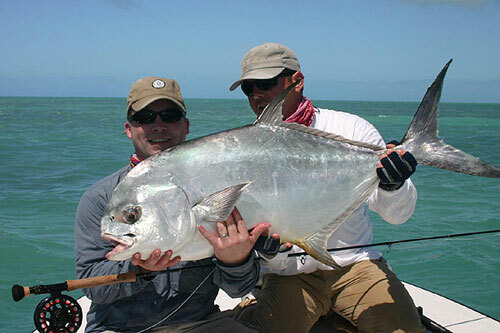 Our on site manager and fly fishing guides are what makes this a serious tarpon destination. Our manager, is on hand to offer casting clinics, fly tying sessions, leader tying instruction and excursion planning for any family members on traveling with you. 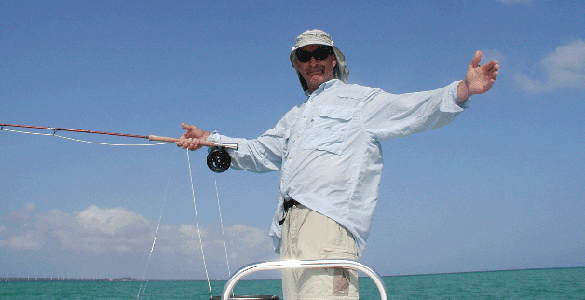 Our guides are headed by Captain Scott Collins, known for his triple crown tarpon tournament records in 2008. 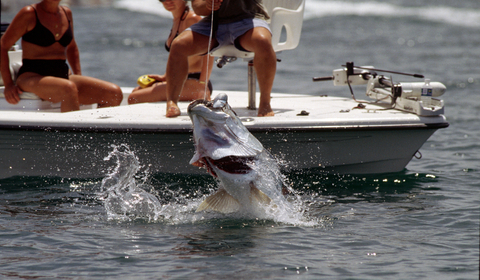 He is the only guide to win all three major tarpon tournaments in one year in the history of the events. 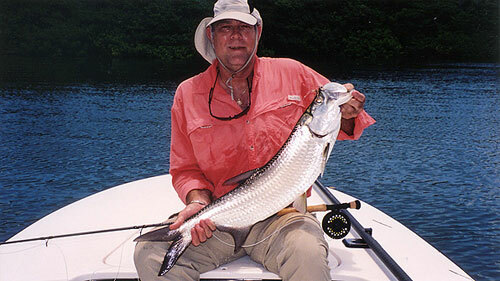 Scott knows: where to find tarpon; how to make them eat a fly; and most of all he knows the best guides in the keys. 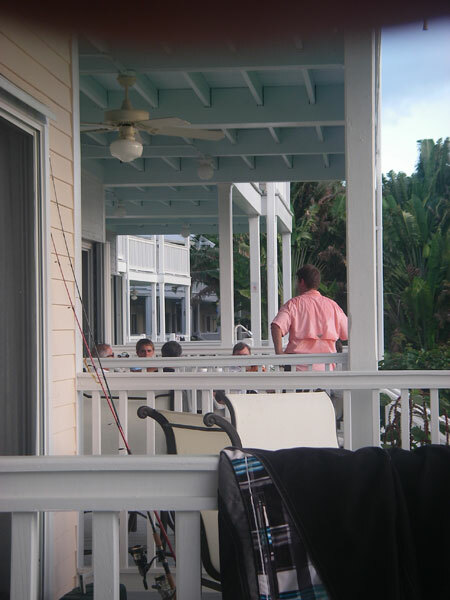 Tarpon Anonymous at Hawk’s Caye is based in Hawk’s Cay Resort. 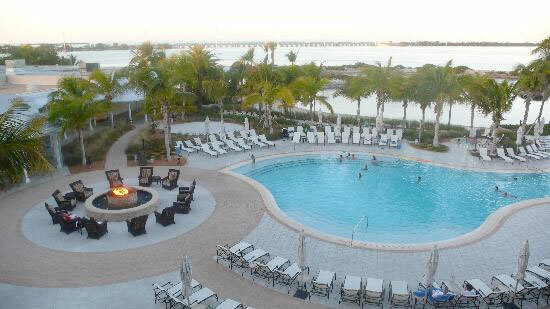 Hawk’s Cay Resort is located on the secluded island of Duck Key, midway down the Florida Keys. Hawks Cay Resort is a 60-acre luxury compound that not only offers the best fly fishing for tarpon in the world, it offers: the world-renowned Offshore Sailing School, exciting water sports, a chance to interact with dolphins, a saltwater Lagoon, luxurious accommodations, exquisite restaurants and bars, kids and teen clubs and a full-service spa, tennis courts, a marina, 4 gorgeous swimming pools all in the casual, relaxed pace of the Keys. Barefoot luxury has arrived in style. 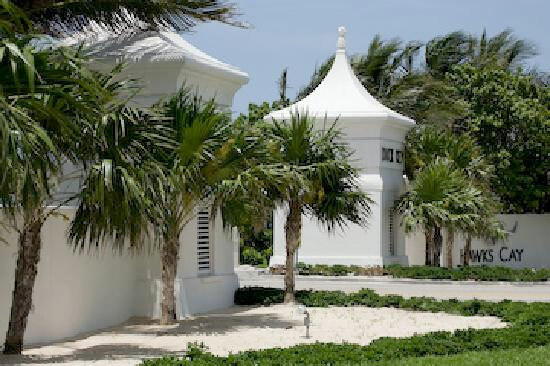 Hawks Cay Resort is a member of Preferred Hotels & Resorts, a collection of the world’s finest independent luxury hotels. 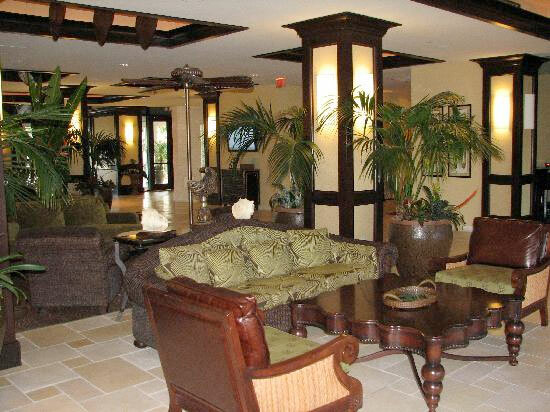 As a member of this elite luxury hotel group, Hawks Cay surpasses an exacting standard of excellence. 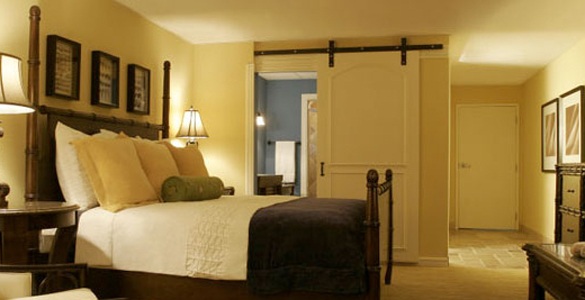 The standard accommodations are 1 angler ( or one couple) per room in one of the comfortable waterfront villas. 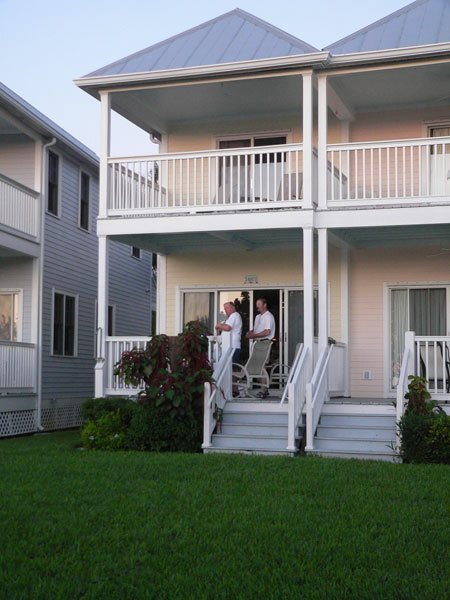 Each villa has two bedrooms, a full kitchen, a dining area and living room, Cable TV, Wireless Internet, and covered decks overlooking the water. 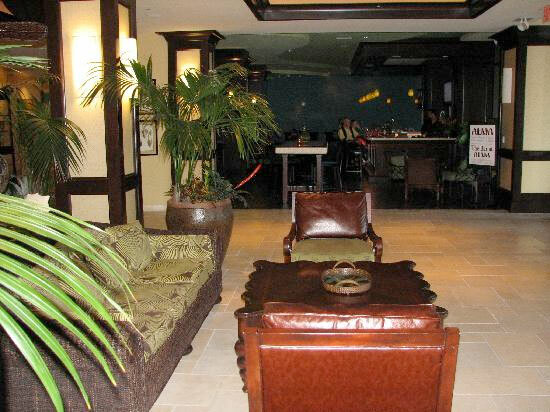 We can provide whatever beverages and snacks you would like. Coffee is ready at 6:30 am and breakfast is served in the main villa out on the deck at 7 am. (Weather permitting) Breakfast consists of your choice of hot or cold cereals, eggs any style, fruit, breads, breakfast meats, hash browns, coffee, tea and juice. Lunch is prepared for your trip each day. In the evening each guest fills out his menu requests for the following day for both breakfast and lunch. Dinners are at the main villa or at one of the resort’ restaurants or other nearby restaurants. Most are famous for fresh seafood, but do offer full menus for those who don’t eat seafood. Tarpon Anonymous at Hawk’s Cay chose Hawk’s Cay Resort as its home base for its proximity to the best tarpon flats of the middle keys. 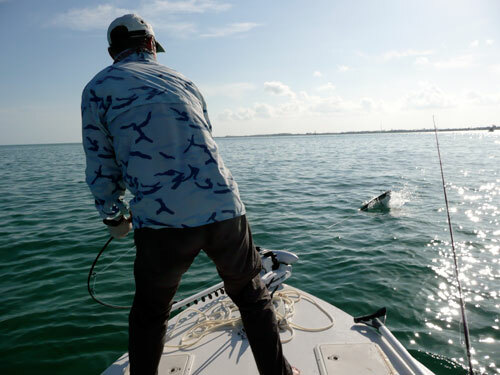 In the last 3 years most of the tarpon tournament champions were fishing these flats around Duck Key even though they are rather far from the starting location of Islamorada. When these talented guides need to catch fish they bounce in the boat for 20 miles to get here, you will have a 5- 15 minute ride to these same flats. Occasionally we will wander to the back country or lower keys if we feel the weather, tides, or conditions dictate it. All of our guides can trailer their boats to any starting position they choose. The day will begin with coffee and a full breakfast served at your villa. Fishing will usually start around 8 am but sometimes the guides may prefer a later start to fish the evening bite. If the tide dictates fishing late we fish late. 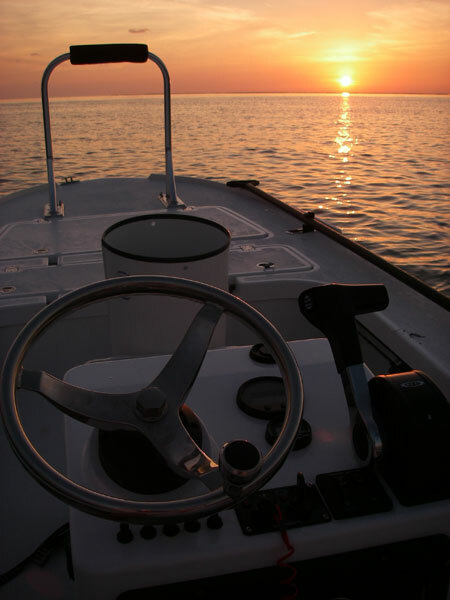 WE may fish both the end of the day and the beginning of the day. 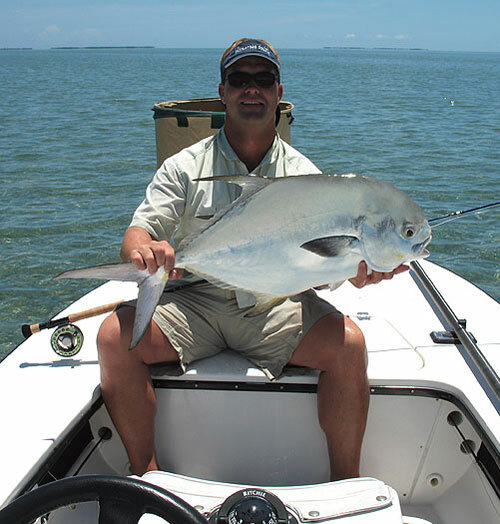 Sight fishing is the preferred method and you will find white sand flats, turtle grass flats and rocky coral bottom flats of many colors. Your guide will know exactly where the tarpon will be, even on a cloudy day we can find fish on some of the huge white sand flats in the area. If we have the luxury of full sun we can fish the cuts, banks and flats of the back country as well as the productive darker bottom flats as well. 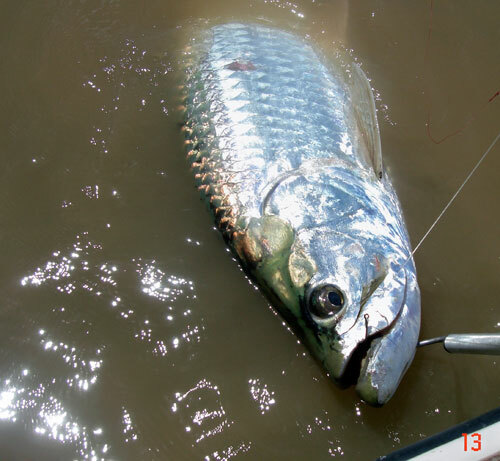 Tarpon can be found holding in current actively eating, they can be found laid up in a slack tide, they can be found in migration schools of 200 fish or singles and doubles and everything in between. Each day and tide brings new opportunities for you and your guide. 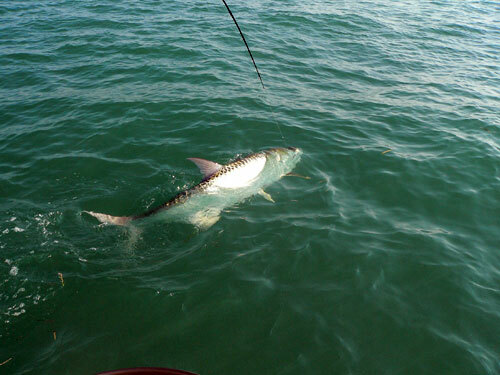 Our success will be largely based on the weather, the anglers skills and the fickleness of the tarpon that particular day. 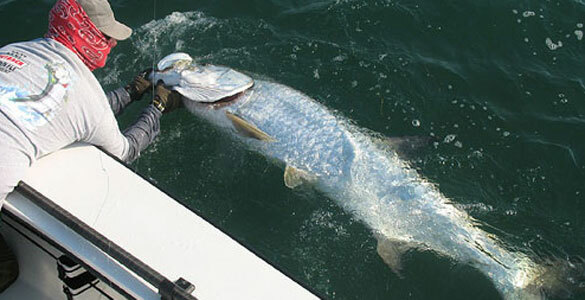 Tarpon during this time range from 40 – 200 pounds. 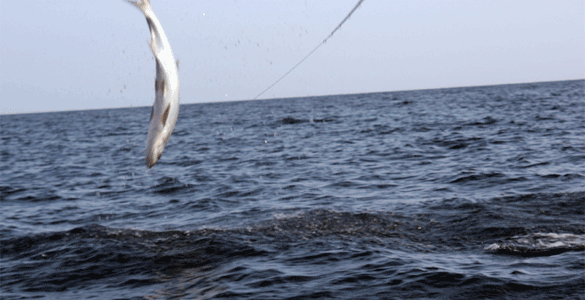 The average fish we hook is 60 – 80 pounds. 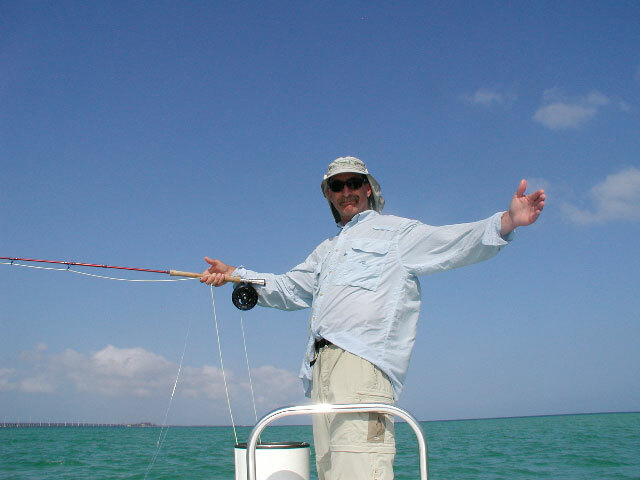 Fly Fishing for tarpon in the Florida Keys requires pereration. We will prepare you for your trip like no other outfitter. We will demand that you practice a few things before you get here. Can you cast a fly 60 feet, with no more than 2 back casts? Do you know what the guide means when he says “11 o’clock , forty feet moving left to right, cast now!” ? Can you punch a low cast into a stiff wind ? Can you throw an aggressive 40 foot cast yet land the fly and line like a dry fly? Ever attempted a two hand, rod under the arm strip into a stripping bucket? 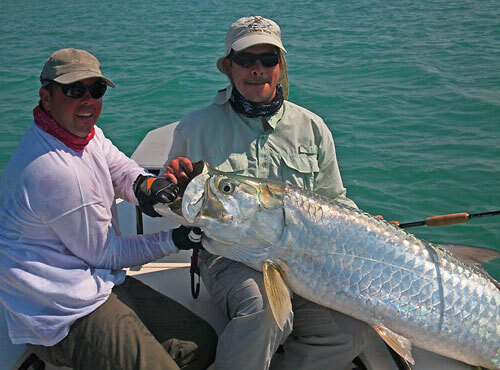 Know how far to lead a tarpon when casting? Where to place the second cast to a school of poons? 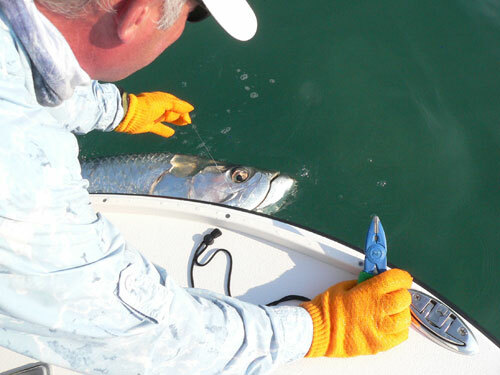 Know what to do when a tarpon eats your fly? How to set the hook? When to bow, how to put maximum pressure during the fight? 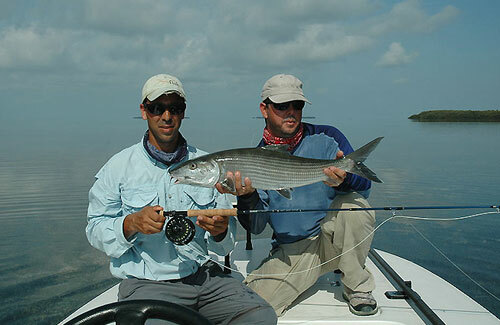 We will help you understand the intense sport of of fly fishing for tarpon in the Florida Keys. On the ocean side (the south or Atlantic side of the Keys) you may see hundreds of tarpon every day in their migrating paths, sometimes a hundred fish could be in one school. The problem is only a select few will eat on any given day! In the back country, where tarpon are hanging out eating or seeking some warm water, our percentage of takes here is greatly improved. One out of four fish eat a well presented fly, on the other hand we see far fewer fish than on the ocean side. On an average day we should be able to get one fish to eat a fly with every 25 good presentations. 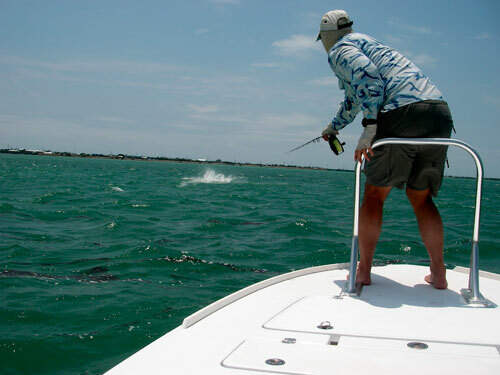 The good presentation is the problem, you have a rocking boat, 20 huge tarpon bearing down on you, the wind in your face, the guide is spinning the boat and telling you to cast now!!!! You can imagine all the things that can and do go wrong! The first day of tarpon fishing usually means 1 out of 10 casts and presentations will be good even with a very experienced angler. So doing the math you can see the odds are in the tarpons favor, It may take 100 tries to get your first tarpon to eat! Fortunately your odds increase as you get the feel for it. An expert tarpon angler would probably be able to get 9 out of 10 presentations right, which increases the number of hookups dramatically. 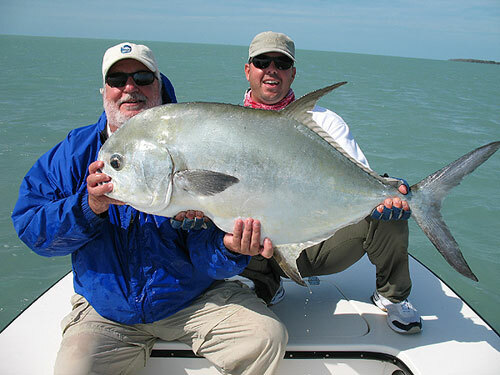 Getting 4 or 5 fish to eat on an average day is not unusual for the better anglers on these trips. Of course weather steps in with either clouds or wind, further decreasing your odds. 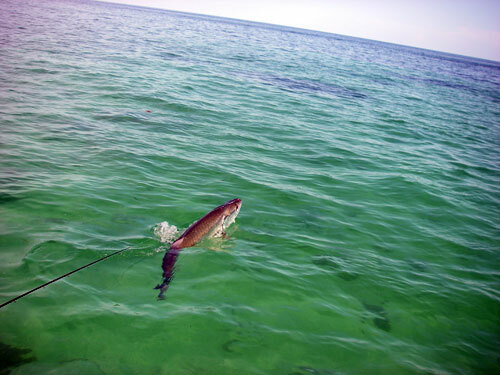 I think it this type of intermittent reinforcement that makes tarpon fishing so addicting. “Practice before you get here” will be the mantra you will hear from us. Once you arrive it will be “listen to your guide”. We do see permit and bonefish and although they are hard to ignore we know that every shot at a tarpon could be the right one. The guide would pretty much prefer that you use his gear but here is a list if you would like to use your own. The guide will provide all the flies – but if you would like here is a basic list! Prices Includes: round trip ground transportation from Marathon,Villa Lodging each night, all meals while at the lodge, guided fishing each day, soft drinks, juices, beer, wine with dinner. It includes all taxes. Prices quoted are in US dollars. Prices do not include: Transportation from Miami, Key West or Fort Lauderdale, Alcoholic beverages other than wine or beer, and gratuities for your guide and resort staff. We can arrange transportation from any airport. 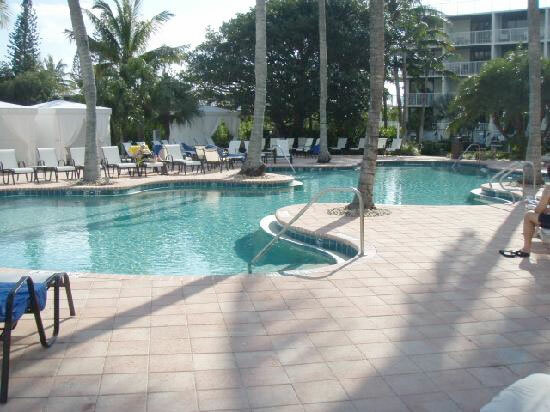 Miami for instance usually runs about $160 per person, Key West around $120 and FOrt Lauderdale $175 per person. Many people enjoy renting a car! 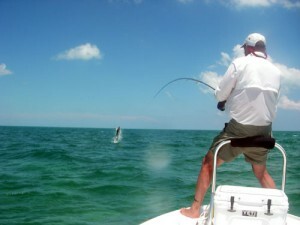 Tarpon Anonymous operates during the peak of the tarpon fishing in the Middle Keys. We begin in Mid April and stop fishing July 10. 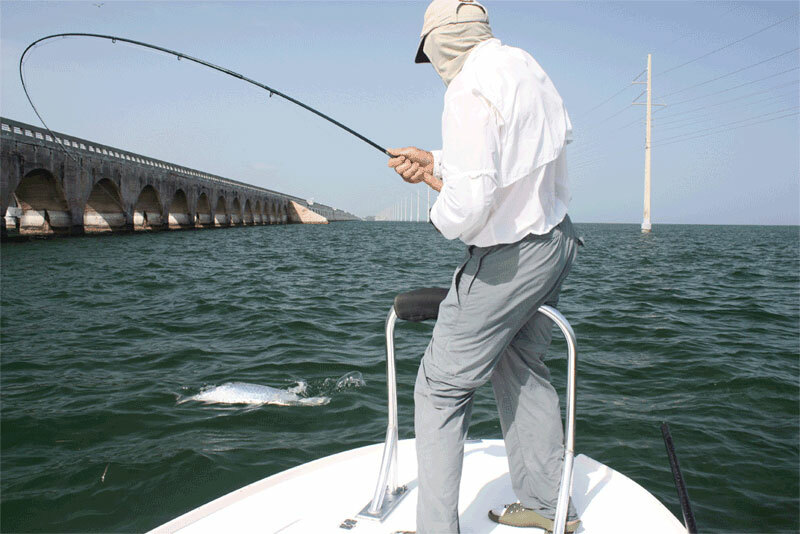 Please take a look at the photo and video galleries related to fly fishing for tarpon in the middle keys and Tarpon Anonymous. 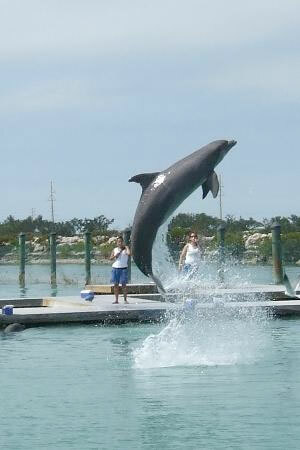 Interact with bottlenose dolphins in the beautiful backdrop of the Florida Keys at Hawks Cay Resort & Marina. 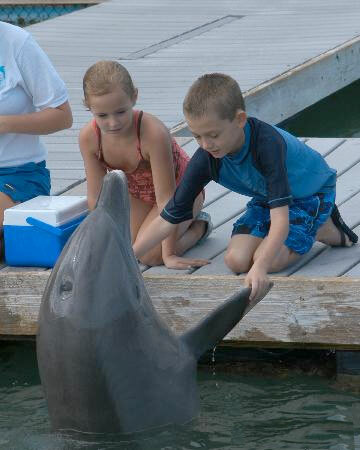 Swim and play with the resort’s dolphin family, get a hands-on experience dockside or become a trainer for a day. 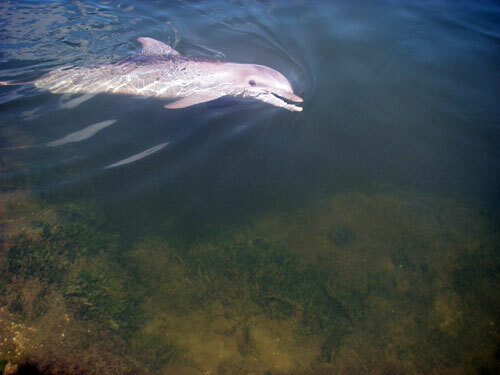 Whichever program you choose, you’ll get the chance of a lifetime: to meet these graceful, intelligent mammals. 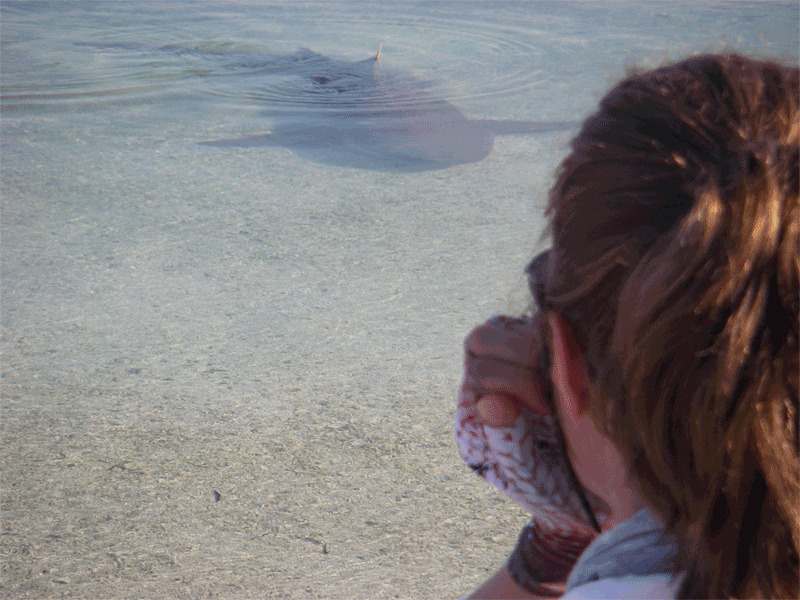 Plus, you’ll learn about the need for eco-conservation and how your actions help marine life. 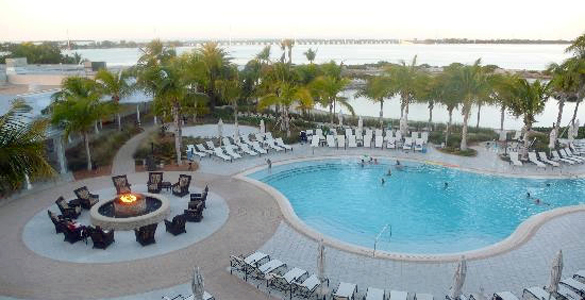 Get an invigorating workout while you’re in paradise at Hawks Cay Resort. State-of-the-art Life Fitness brand cardio and exercise machines, as well as strength training and flexibility equipment, are available for all guests age 16 and older. Instructor-led fitness classes also are available; get schedules and costs at the Calm Waters Spa check-in desk or by calling 305-289-4810. Work on your serve or play a match on one of two clay courts or six hard courts. Tennis equipment and a ball machine are available for rent. Scuba lessons, certification courses, kid’s courses and guided trips to the reefs and wrecks around Hawks Cay are available daily. Night dives are also available for experienced divers. SNUBA™ diving combines the freedom of scuba diving with the easy skill level of snorkeling. No course time is required, and anyone age 8 or older can participate. Hawks Cay is one of only three destinations in the United States to offer this incredible snorkel/scuba hybrid alternative for an exceptional experience of diving in the Florida Keys. 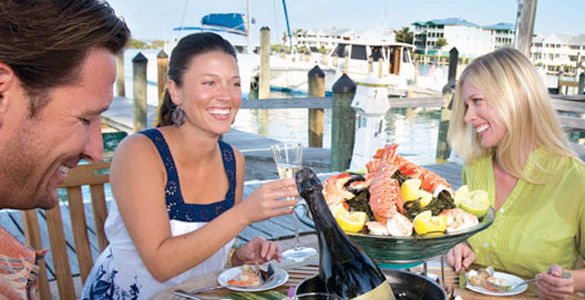 Guided trips leave daily from the Hawks Cay Marina. 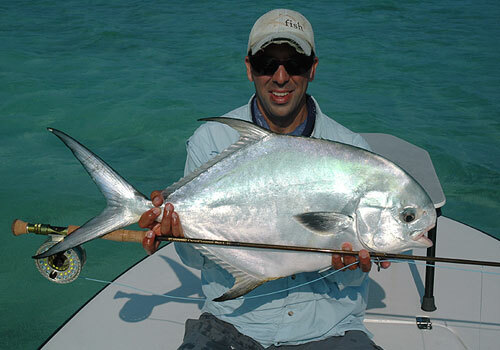 Want to spearfish in the waters of Hawks Cay? Snorkel or scuba dive aboard the Seafari, a commercial fishing/lobstering boat with a license that covers all of our guests on board. There is no additional cost to spearfish, but we strongly recommend that anyone new to the sport should participate in our specialty course. 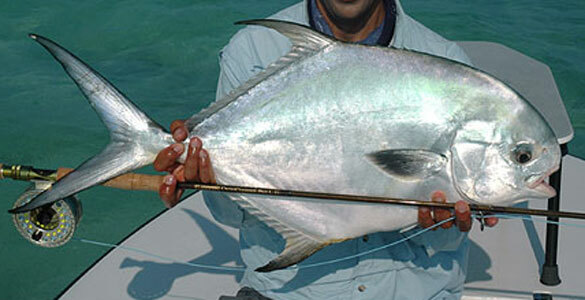 Then, it’s off to enjoy more than 30 dive sites available for spearfishing. For more information, visit www.diveduckkey.com. 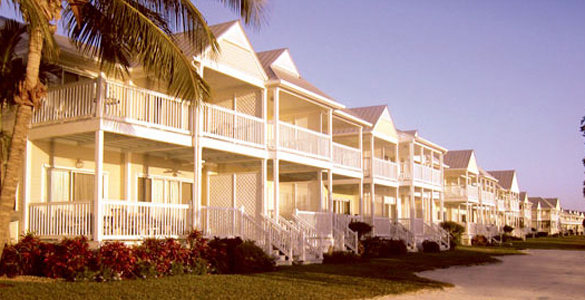 Hawks Cay Resort is the exclusive Florida Keys home of the Colgate Offshore Sailing School, regarded as one of the best sailing programs in the country. All instruction takes place aboard Colgate Duck Key sailing vessels ranging from 26 to 42 feet in length, with lessons tailored to the exact skill level of each student. Whether you’re a beginner or pro, you’ll enjoy waterskiing on the turquoise, flat water at Hawks Cay as you’re towed behind a competition ski and wakeboard boat. Grab your mask and fins for an underwater snorkeling adventure at Hawks Cay. Day trips take place aboard a spacious catamaran that includes a glass-bottom viewing area for those who would rather stay dry. Want some tips before going out? 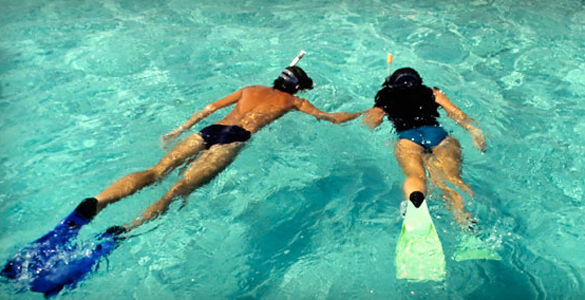 We offer Florida Keys snorkeling lessons in the comfort of a swimming pool. Soar above Hawks Cay like the birds while parasailing at Hawks Cay. Choose from solo or tandem trips that guide you by parachute while a boat moves you slowly around the island. Explore the ocean at your own pace, and get a good workout in the process! Single and double kayak rentals are available for daily or hourly rentals at Hawks Cay. Few places on Earth offer the ability to see the sunrise and sunset over the water in the same day; Hawks Cay is one of those places. After watching the sun rise over the pool and saltwater lagoon, take a breathtaking sunset cruise and toast the end of your day with a glass of champagne. 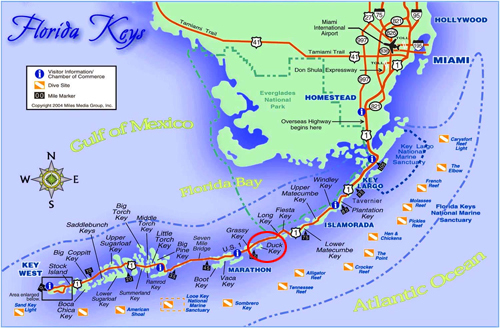 The best way to explore the five islands of Duck Key is by bicycle. Nothing beats the laid-back pace and ability to explore quaint stops along the way. The low traffic on the island makes it a safe and pleasant journey. Bikes for children and adults are available to rent by the hour or for the day. 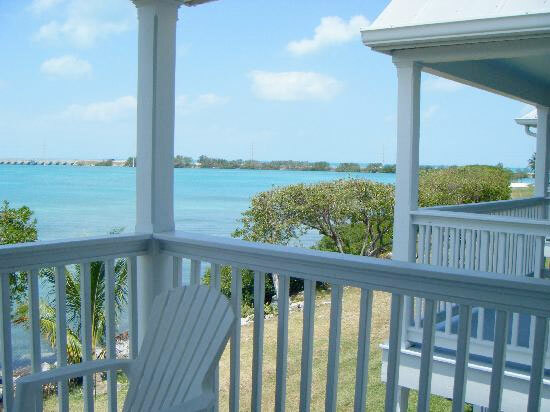 Because of its position in a long line of barrier islands with a large ocean reef just off shore, Hawks Cay Resort provides a unique opportunity to view tropical plant life and wildlife that can be found only in the Florida Keys. Take a walk on one of the many nature trails that wind throughout the resort to see butterflies, flower blossoms and dazzling birds. The unique shops of Key West are only 80 minutes away by car. For essentials, the Hawks Cay Marina Dockside Store provides guests and anglers with an ample selection of the most-requested and most-needed items. The store includes a section for fishing gear including rods, reels, line, nets and tackle; a grocery department for bread, milk, ice, deli sandwiches, chips, snacks, coffee, wine, beer and candy; and a section for magazines, books, sunscreen, first-aid supplies, small toys, souvenirs and other miscellaneous items. Indulge your inner shopper at the Island Elegance gift shop in the Hawk’s Cay lobby, where you will find decorative items for your home, fashionable apparel, vacation must-haves such as towels, sunscreen and more. This complete line of spa care products contains the finest and most potent natural marine and botanical ingredients, combined with technologically advanced formulas and treatments to deliver outstanding results. Pevonia is acclaimed as a results-driven product and treatment line, proven to deliver a phenomenal in-spa and spa-at-home experience. Pevonia prides itself in providing maximum holistic wellness, skin radiance and therapeutic relaxation. This certified organic body line uses tropical ingredients (choose from Frangipani Jasmine, Coconilla or Island Fruits) that are natural, organic, animal and cruelty free and biodegradable. A portion of the profits go to UNICEF. Bring home the inviting scents of our tropical island in candles, aromatherapy diffusers and body care. These incredible scents use the finest ingredients and fragrance oils available. Our Shuttle Service will pick you up at the airport and drop you back again. Some folks like to rent a car to have some mobility – no problem at all!